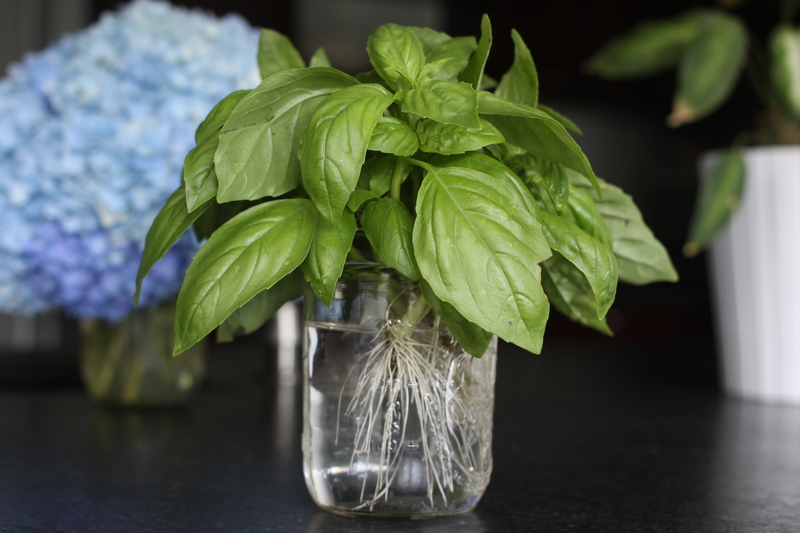 With very little effort, your basil harvest can continue all summer. Give your stem a clean cut and keep it in water until the roots are about 2″ long. Plant in a container or in the ground. The jar above sat on my counter for a week or so. Now there are 5 new basil plants in my garden.